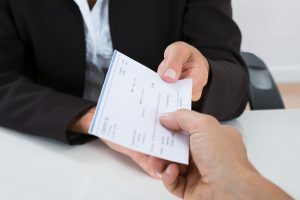 A potential amendment to the New Jersey Law Against Discrimination (“LAD”) would make it illegal for employers to ask prospective employees about their wage and salary history before hiring them. The LAD is an anti-discrimination law that protects New Jersey employees from discrimination, harassment and related retaliation. Introduced last month by Senators Nia H. Gill (Dem. Essex/Passaic) and Loretta Weinberg (Dem. Bergen), the bill would make it unlawful for an employer to reject or screen a job applicant based on his or her past salary or wages. More specifically, it would prohibit employers from having a minimum or maximum requirement for job applicants in terms of past salary, wages or benefits. It also would prohibit employers from relying on a job applicant’s previous compensation at any time during the hiring process, up to and including finalizing an employment contract or job offer. In addition, the proposed amendment to the LAD would make it unlawful for an employer to inquire about a job candidate’s compensation and benefits history, either in writing or otherwise unless the candidate voluntarily provided the employer a written authorization to obtain his or her compensation or benefits history. The amendment would further prohibit employers from retaliating against an employee who discloses the salary of another employee for purposes of investigating a potential claim of pay discrimination. As discussed in my previous article, Governor Christie Signs Two New Employment Laws, the LAD already prohibits employers from retaliating against an employee because he or she requests this type of information. However, it currently does not expressly protect an employee who provides that information. In other words, the law is intended to minimize the future impact of historical discrimination. As co-sponsor Senator Weinberg put it: “Salaries should be based on an applicant’s qualifications, not their past wages.” “A job candidate’s past salary is not only irrelevant, but could continue wage discrimination an employee suffered in previous jobs,” she explained. If passed, employers who violate these new prohibitions could be liable for economic and emotional distress damages and attorney’s fees. Likewise, under appropriate circumstances they potentially could be liable for punitive damages. Of course, this bill is not yet the law. The New Jersey Senate and Assembly consider numerous potential new laws, including ones that would amend the LAD every year. Only a small portion of those bills actually become laws. A copy of the full text of the bill, S. 2536, is available here.